Audio is my life. I record, mix, edit and produce in a variety of musical genres as well as editorial projects and provide ancillary audio services including, but not limited to, remote recording, FOH, Pro Tools redundant playback equipment, operation and session preparation for live performance, systems integration, the occasional DJ set and general sonic fu*kery. Most importantly, I come with a positive attitude at no extra charge. My AllMusic credits are a bit incomplete, so I would direct you to Discogs for more comprehensive (but still incomplete) overview of my work. Anywho, you're here looking for an audio pro to do 'something'. My skill set is pretty diverse so message me with your query and I'll let you know if I'm that guy. Regardless of the job, large or small, I aim to deliver the best product possible, to your satisfaction, and treat every project with the utmost care and attention. Links to samples of some of my work are below. A: I just finished the fourth Dave Goddess Band EP and currently producing voice-over and BGM content for a national corporate meeting. A: It's kind of a bad question without context but, generally, I prefer a combo. I had to choose one, it would depend on the application. A: Q: So what's this going to cost me? A: What's in your budget? A: Look for a good fit. Find the person that understands your vision. A: A whisper room iso booth, a bass guitar, 300' of mic cable, a vat of sorbothane and a mackie mixer. One could construct a turnkey raft from these materials and get off the desert island. A: Wow...it's been a minute... Get a snack cause you're gonna be here a while. I started my (ahem) recording career in High School banging out beats on desks, buses, trains...whatever. I graduated to drum machines, turntables and 4 track cassette machines, then I graduated High School. 30 years later here I am, offering my experience and talent to the public at large... So What Happened in Between? Well, it goes a little something like this I got seriously bitten by the recording bug before pursuing a biology degree in college. I gotta say if it weren't for the university, I would have never realized my love for vacuum tubes was greater than my love for test tubes. First Stop, Greene Street ... Greene Street Studios- I obtained an internship at Green Street Studios in Soho, New York. You're probably asking, "How did this MF'er manage to get an internship at a major studio with a bio degree?" Up to this point I had been playing with samplers, cassette based multi-track recorders abandoned analog synthesis gear and, more than anything else, turntables. I had a weekly Dj gig at a wine bar/restaurant across the street from the studio. Dave, the studio manager would stop in after doing his studio manager thing and have some wine, food and salacious flirtivity with the waitresses. One night, one of the girls came up to my booth and said, "You should ask Dave if you could work at the studio." I went up to him and asked if he was looking for any help. He said, "Can you use a sampler?" I replied, "Is the Pope Catholic?" and right there I embarked on my professional career at Greene Street Recording where I made coffee, got lunch, cleaned control rooms, edit rooms, lounges and bathrooms. On occasion I was allowed to wrap a cable. I gradually worked my way up to aligning tape machines and eventually, assisted on sessions. It's funny, I saw a lot of interns come and go. The ones that went the fastest were the ones that graduated from some kind of audio program. It's like they didn't have the patience to put up with the crap. I don't know, there's something important about learning humility. I think it better equips a person to handle the responsibility of success. If you got roots, you don't forget em'... BONZAI!- So I spent about a year and a half at Greene Street. Around the middle of my stint there, I was introduced to the owner/operator of a small jingle house called Bonzai Productions located in the Flatiron District. Turns out he needed an organized, efficient, go-getter assistant with a cool head and first call sampler programming skills. Instead of that he hired me ;-). I really cut my production chops at this facility. It was a one man operation but pro as pro could be for 1994. Amongst my many and varied duties, I assembled and cataloged sample libraries; kept everything current. Bear in mind that sample library CD's weren't available pre-formatted at that time so everything had to be manually sampled and tweaked. Imagine 8 hours in front of a 2 bit LCD screen about half the size of an index card...or better yet, don't. I also was responsible for some light sequence programming, being an operator on small VO sessions, seconding for visiting engineers and occasionally hosting the talent. There's no bigger ego boost when you're in your mid-twenties than walking into the VIP room or any given club with the latina version of the Spice Girls. Marteen is still a top notch producer/songwriter/multi-instrumentalist/engineer in L.A. He is truly, El Heffe. ... Fusion (and I don't mean the genre)!- Being young and energetic, I always had my ear to the grindstone for new stuff...new music, new gear, new technology. It was my passion and my job. How cool is that? I was asked to help in the design and launch of Fusion Studios in the mid 90's. I built a rep in the industry as being the go-to guy for bleeding edge technology. Consequently, I was attracting the type of clientele who are more apt to use electronic rather than acoustic noisemakers. This included rave babies, house heads, beatminerz and DJ's of all flavors. I went on to become the Chief Engineer at the facility and did the obligatory 96 hour no-overtime workweek. (If you can't understand it you never will. If you do understand, you can revel with me while we share war stories over pints of Guinness). Still, pull at a tear long enough and the threads start getting unraveled regardless of how well the fabric is made. Same thing happens to people. After a few years of that pace I decided I needed a vacation, something kind of, ummm, permanent.... Through the Fire- ...and into the frying pan. I figured I would be relaxing a little not having the responsibility of someone's studio hanging over my head. If I could have predicted what was about to happen I'm not sure I would have left Fusion. 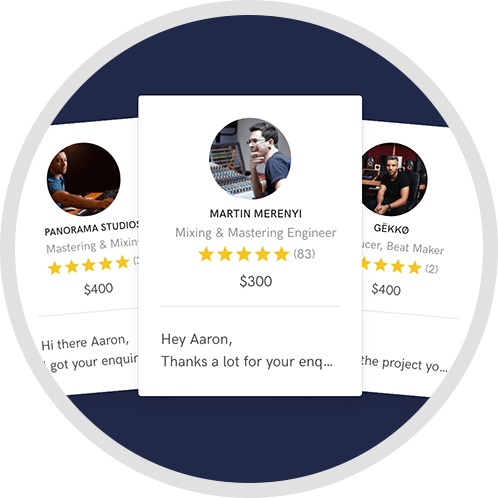 When some of my old clients from Fusion found out I hit the road, they started coming directly to me for studio help, hiring me as a freelance engineer and programmer. I found myself responsible for my own studio and busier than ever! The home studio revolution was just starting and a lot of these artists wanted to get in on the action. I'm not sure who started it, but I would build systems based on what the artist was trying to do in stead of making purchase recommendations based on commission and stock on hand. Pretty soon, everyone was asking me to not only make the recommendations but to design the work space, assemble and wire the gear. My only interest was making the artist/producer as productive as possible inside of a budget they're comfortable with. A few years later at an AES convention, a Digidesign guy asked me what I did. I said, "Well, I put together project studios amongst other things.." He said, "so, you're a systems integration specialist then.." I guess I am, amongst other things... Endings are just New Beginnings- So as we entered a new millennium, in addition to the programming, engineering, sound design and 'systems integration', I was always pursuing my own musical career. In addition to the numerous edits, remixes, collaborations and single productions, I struck a partnership with a talented producer/songwriter/bassist virtuoso named Anton Bass. Together we created an album under the group name "Karmadelic" for Jellybean Records. The album launched in the summer of 2001. Everything was going great. Release parties, live shows, DJ gigs, rock-star lifestyle..then 9-11 happened. What a mindf**k. The bottom fell out of the music industry. I lost a lot of confidence. Who ever said, "what doesn't kill us makes us stronger", neglected to mention the recovery time involved in that process. For me is was too long. Afterwards, though, I learned to appreciate the little things that make our day to day special. Things that may just disappear tomorrow. Yeah, the music is still here. I feel fortunate that I'm given the skill, understanding and experience to do the things I do with sound and help artists realize the ideas they have inside. I believe I owe my talents to the thing that has sustained me throughout the years, good and bad. I owe it to the music. "Cause' without the music, I don't know what we'd do" - Cevin Fisher... Shifting Gears- Progress marches on and with it the necessity to adapt to a changing climate. Technology ushered in a new era of creativity and with that, the democratization of art. Luckily, the writing on the wall was evident long before the deluge of content and some of us prepared for it. As the traditional studio became less relevant in the process of making a record, so did the recording engineer. Fortunately, my experience with editorial audio projects enabled me to find a market for my skill set. 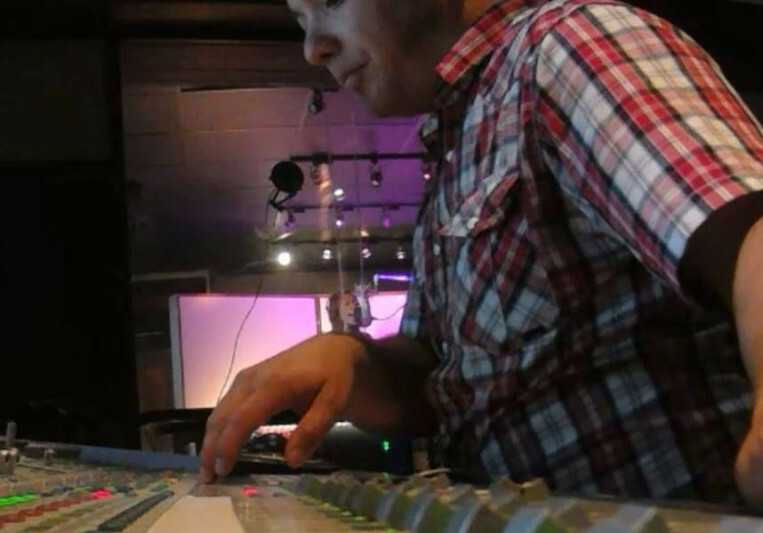 When I'm not working on music, I'm producing audio content for corporate meeting events. Whether it's automated announcements for a trade show or voice-over accompanied by background music for meetings or presentations. 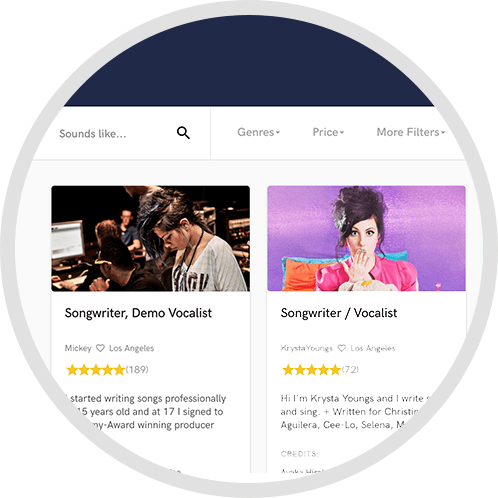 It fills the employment gap left in the music recording industry quite well. It's not glamorous but it beats flipping burgers. Sounds good, print it... So that's the very long and not too short of it. Hope you enjoyed the story. I enjoyed playing it out and with any luck it'll just get better. There's a ton of stuff I probably overlooked so if anyone feels left out or wants to remind me of a bit of forgotten history, drop a note, even just to say "What up dog?" A: This is a tough question as they've all passed on in the last few years. I'm interested in 'the process' by which a person creates. I think there's a distinction between formulation and real creation, not that one is better than the other but I find actual creatives have a process, sometimes a ritual. I wouldn't necessarily like to work with but I'd like to be the fly on the wall in a Brian Wilson session or David Johansen session. A: "Fixing it in the mix" rarely results in awesomeness. 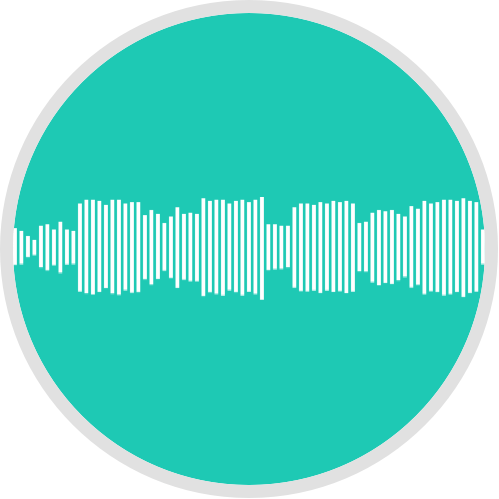 Take the time to get it right in the recording whether it's the performance, the mic placement, the amp sound, the synth patch or the arrangement. When you capture the idea, presented in the right context, with the intended meaning, the song practically mixes itself. A: Historically, the bulk of my work is in electronic, producer-based music. If you want to talk sub-genres, I would say house of all flavors, pop-dance, traditional hip-hop, acid-jazz/lounge, etc. I've worked within lots of different genres as I spent time in the audio production department at a jingle house early in my career. The rock band "The Dave Goddess Group" has utilized my services for their last four EP's over the previous 6 years, so I guess I'm doing something right in that genre. A: The ability to be pointedly honest. I won't blow smoke or be that 'yes' man. I'm not a contrarian but I'm more apt to see flaws rather than strengths. I mean, that's what I'm wired to do. For instance, after getting a good feel for a track I'm going to mix, I'll go through every track and look for problems; abhorrent noises/clicks, distortions or any anomalies and confirm with the client if these are intentional or not and proceed accordingly. So I guess 'attention to detail' goes along with this but that sounds so boilerplate...In terms of craft, I'm adept at most aspects of operating and exploiting the tools I use. A: A fresh ear, pretty much. A: Listen, listen, listen and go from there. Then it's measure twice and cut once until it's done. A: My own setup is modest. I have an hod-rodded iMac running Pro Tools, Logic, Ableton Live, Reason and MAX, my weapon of choice being Pro Tools. My primary interface is by Presonus and A/D/A conversion is an Apogee ADA-8000 light-piped through the Presonus. Monitoring is good ol' NS-10's and M-Audio M3's. I have a few pre's from UA and Golden age and a usable mic collection (mojave, AT, SE, Oktava and an original CAD). I'm good for recording some stuff at home (my wife does occasional VO work) I don't use PT Hdx anymore as it's cost prohibitive unless I have a facility where it's power can be utilized. I do, however, use PT HD Native systems for live applications. If I need a studio to record, drums or electric guitars or a full band, there are plenty of stellar rooms here in NYC that I can work from. A: Anyone that takes pride and shows mastery in their craft inspires me. If I had to select a single individual that is well known, it would be Prince. I had the privilege of meeting Chuck Zwicky at a forum many moons ago and I heard stories of the Purple One's tenacity, drive, musicianship and what he expected from his crew. Some might call it 'genius insanity' but it was inspiring to me. A: The bulk of my work is production, recording and mixing both musical and editorial projects. 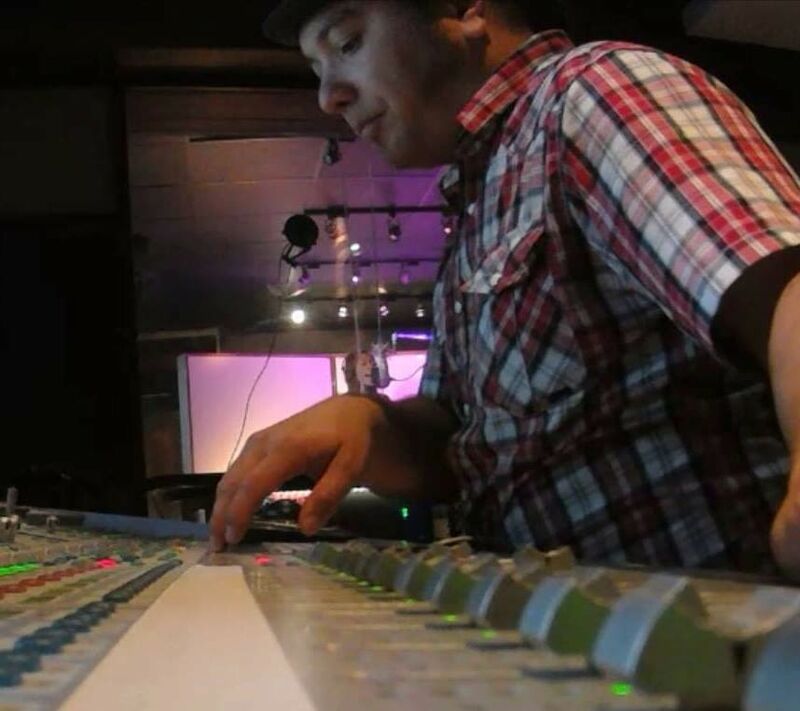 I'm also capable of FOH mixing, sound design, BGM/jingle production or music research/asset procurement, systems integration consulting (studio setup), record lathe operation...I wear a lot of hats, some of them quite odd. As of late, I have also been supplying, operating and redundant playback rigs for broadcast performance. What is that you ask? If you're watching, let's say, Saturday Night Live, and the musical guest is performing, I'm backstage running a pair of Pro Tools rigs (with redundancy so nobody pulls an Ashlee Simpson) that provide musical parts not being performed on stage as well as a safety in the case of an onstage gear failure or some other gremlin. In the last year I've assembled the sessions and run rigs for artists performing on SNL, The Today Show, Stephen Colbert, The Ruff Ryders Reunion Tour and Jingle Ball at Madison Square Garden. 2-3 days turnaround. 3 revisions. Base does not include comping, tuning, time alignment, arrangement or replacement.